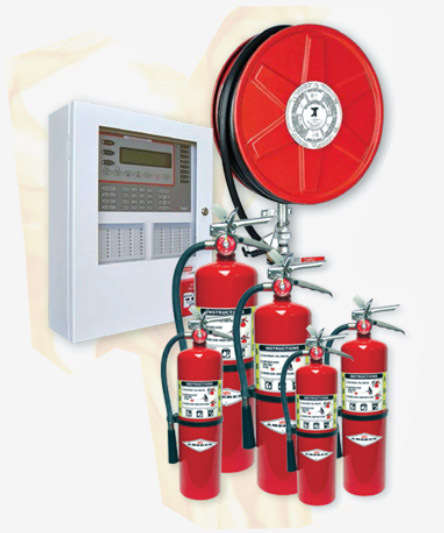 When we think of fire safety, we usually just think about equipment such as fire extinguishers, sprinklers and maybe alarms. However, there is a lot more involved, all industrial and commercial premises need to ensure that they have the right equipment to be fully compliant. Once the equipment is installed, individuals will have to be trained in its operation and you will need to have the necessary procedures in place for dealing with emergencies and the prompt evacuation of individuals. At London Fire and Safe, our dedicated and experienced teams can help you to address all these issues offering the necessary advice and assistance. We stock a wide range of products that are suitable for use in domestic, commercial and industrial premises. We are of course fully accredited by all the relevant Australian authorities to conduct all the services and sell all the equipment that is available on our website. We have service teams who are on the road throughout the year and can respond rapidly to resolve any problems that you may have. We also have a fully equipped workshop at our premises in Brisbane where we can carry out any work or repairs. All our teams receive regular training and are magnificently supported by our experience management team from our East Brisbane offices. If you would like more information about our products and services or have questions about fire safety in general, you can speak to a member of our helpful team by calling 07 3391 4141 or alternatively, you could contact us via our website.